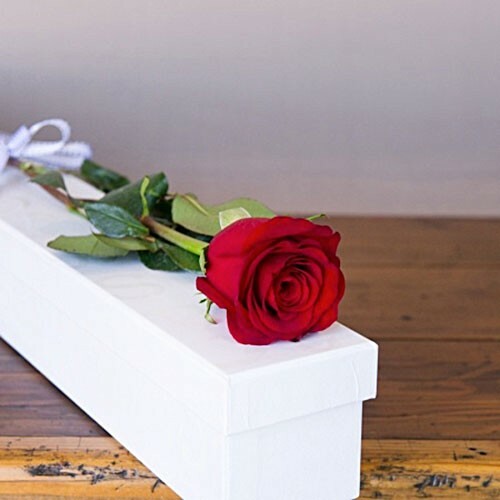 This long stemmed single red rose is as magical as a first kiss and is presented in an elegant lidded box, beautifully finished with red ribbon. Simple and Elegant, nothing says "I love you" quite like a red rose. Area of Delivery: All across Lebanon except Beqaa and the North.